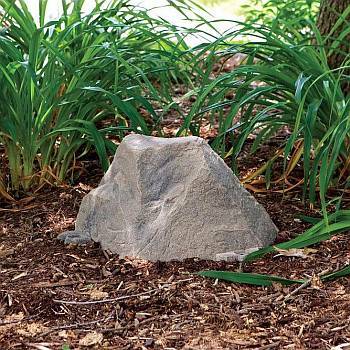 BackyardCity.com offers this flat sided faux rock for covering outdoor electrical outlets or small septic / sewer cleanouts. The rocks are made with an all-new textured material called RealRock™. 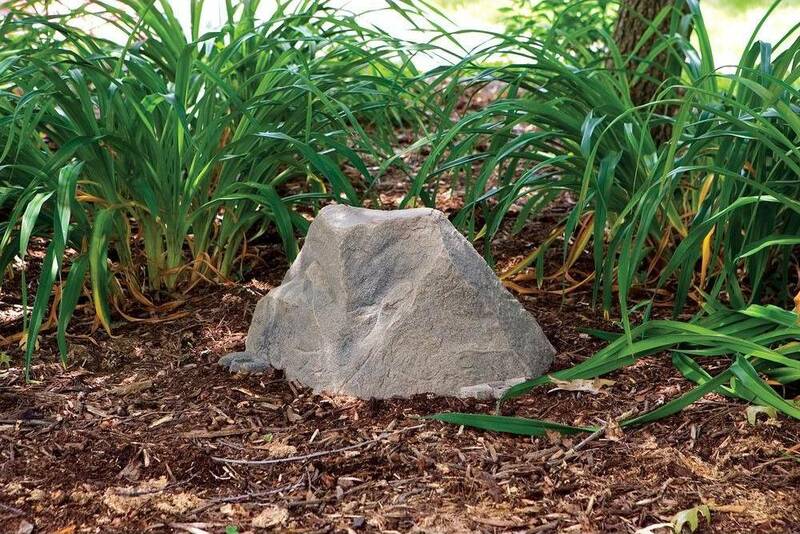 The gritty, tough, and variegated rock-like surface is astonishingly realistic and blends in with other natural textures. The Flat Sided Model 105 measures 24 In long x 12 In wide x 12.5 In high.